As much as Chinese New Year is a good enough reason to splurge on all things new, the struggle of picking something to wear on a big occasion like this is just absolutely agonising. To give you a headstart (although CNY is coming in less than 2 weeks), we’ve gathered a list of new releases from some of your favourite sneaker brands — like Nike, Adidas, and Vans — for you to cop for the Year of the Pig. 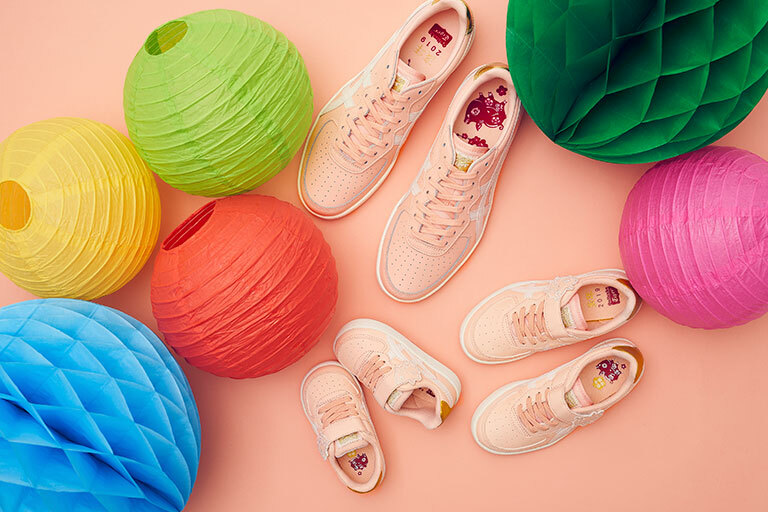 Nothing could possibly be cuter than sporting fresh kicks with your loved ones on a family-friendly occasion like CNY. Onitsuka Tiger just dropped their Lunar New Year Pack, inspired by vintage tennis shoes with a few modern takes to its silhouette. The sneakers also come in the pinkest of hues — eponymous to the Year of the Pig itself. On top of it all, each pair is designed with an adorable pig embroidered at the heel and the straps for the adult GSM, GSM TS and PS — which vary according to the adult and kids sizes. Priced at $149, $89 and $79. Available at Onitsuka Tiger Suntec and Ngee Ann City stores. 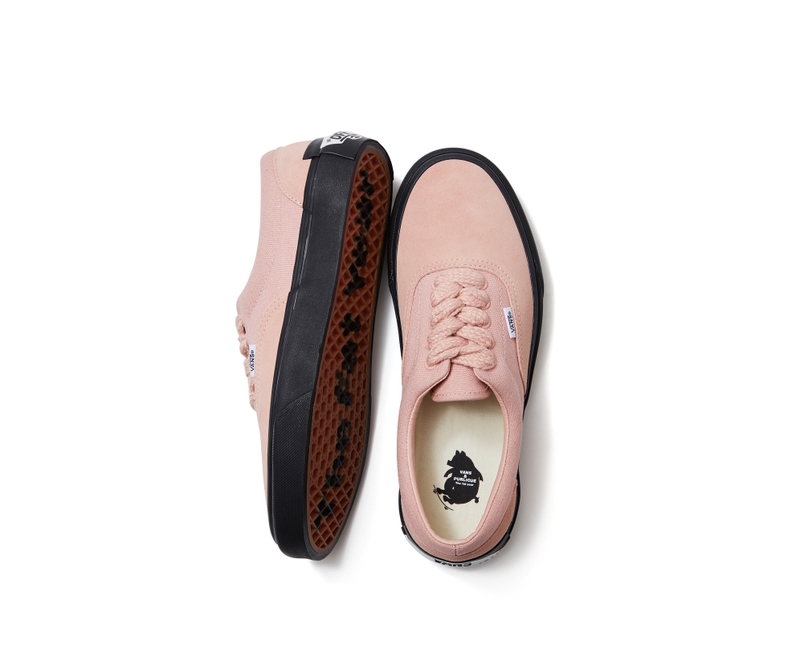 Reworking beloved silhouettes like the classic Old Skool Trainers with inspiration from the auspicious hues of the Year of the Pig, it’s no small feat what Vans has accomplished this time ’round with its new collab which revolves around the farm animal. Picture — hues of black, white, pink and red. 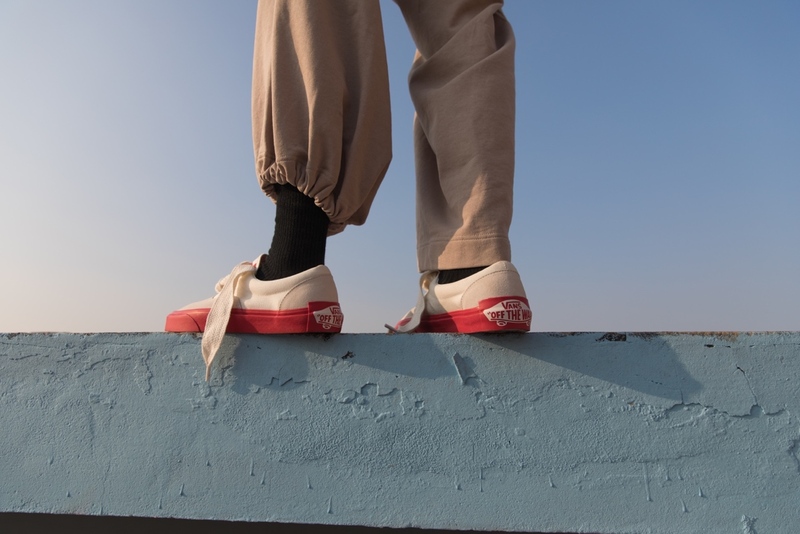 The series features canvas and suede uppers — for a more diverse range of options for you to choose from. 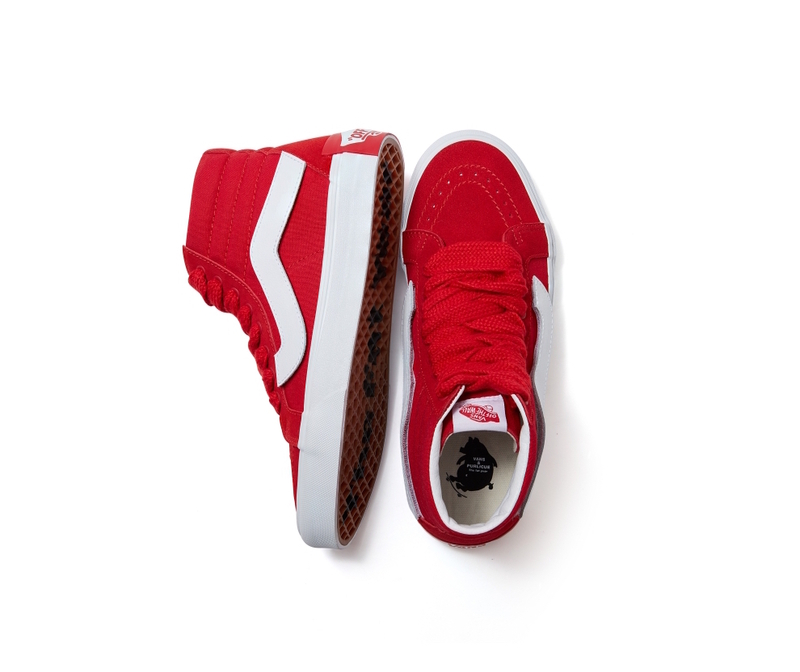 Whether you’re channelling some skategirl aesthetics or a laidback look this CNY, these “Off The Wall” kicks are nothing short of an obsession that elevates any casual outfit. Available at selected Vans and partners stores from January 2019. 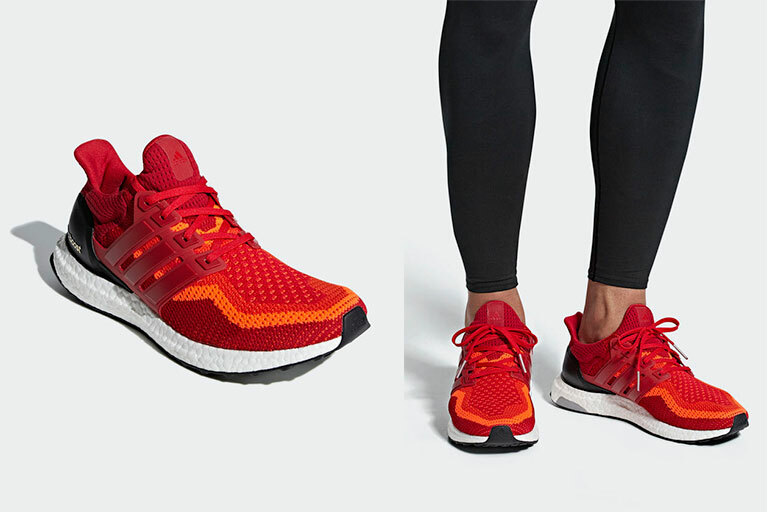 The iconic pair of Ultra Boost sneakers just got a whole new makeover just in time for the Lunar New Year. Decked out in hues of solar red and orange, this fiery pair of kicks will serve you comfort (and lots of attention) while you’re out visiting your relatives this CNY. 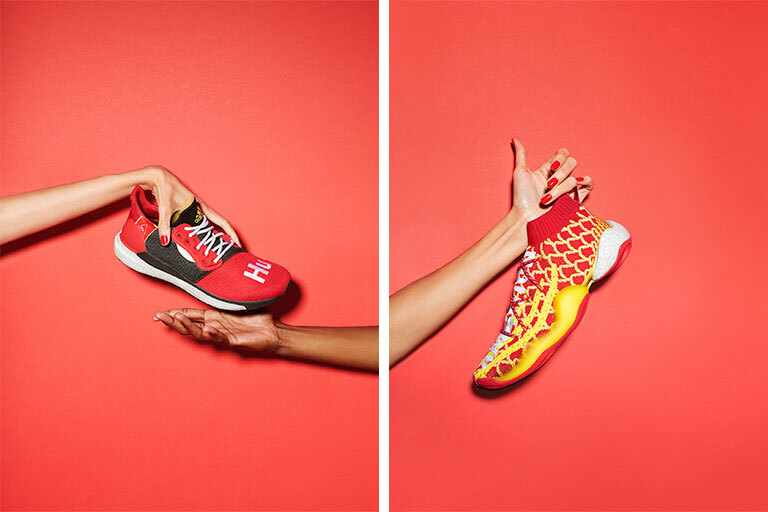 Stay on top of your shoe game with these hot picks from the adidas x Pharrell Williams collab! 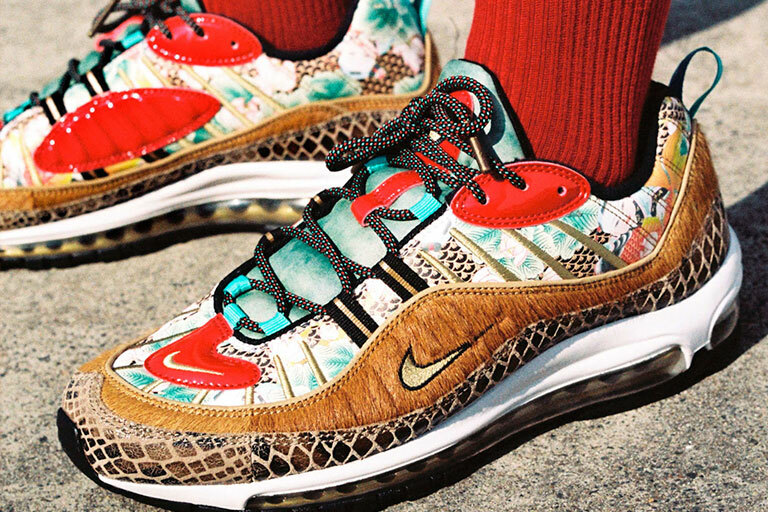 If you’re looking for the next pair to sport to ace that Hypebeast aesthetic of yours, then these pairs are a few worth considering. Expect bright and bold canvases — especially the CNY-inspired Crazy BYW that’s decked in red and gold accents — the two auspicious colours that are symbolic of happiness and good fortune. adidas Originals by Pharell Williams Solar HU Glide CNY (left) and Crazy BYW CNY (right) will be launching in-stores at Dover Street Market Singapore and online on Saturday, 26 January 2019. Not born in the Year of the Pig? No problem. 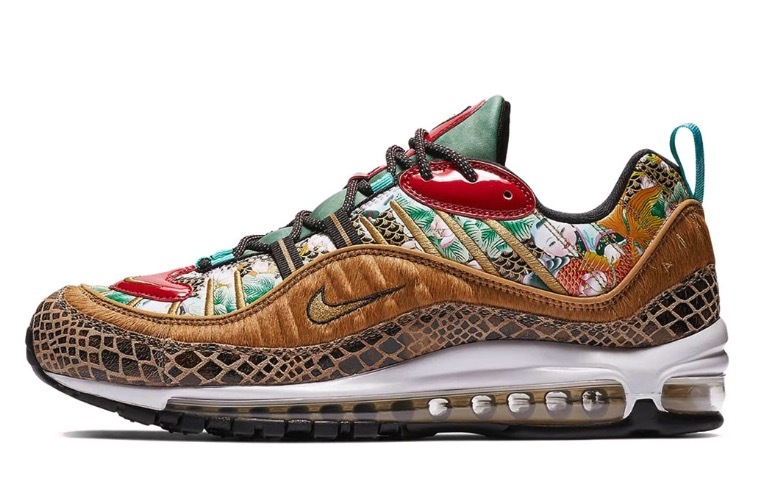 A purveyor in the sneaker industry, Nike, has taken their sneaker game up to a whole new level by reinventing their classic Nike Air Max 98. Paying homage to the Lunar New Year, the iconic retro runners are inspired by the different chinese zodiacs like the Ox, Snake, and many more to name. 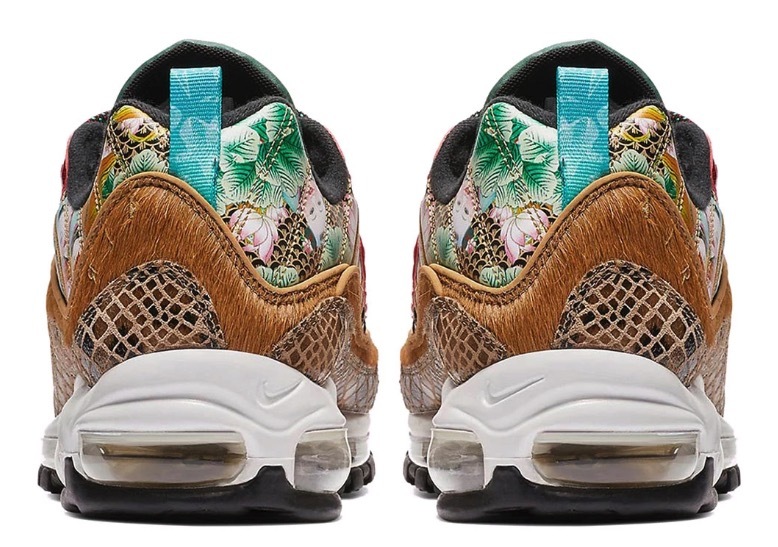 The design comes with a floral upper with a blend of Bai Jia Yi quilted pattern that will be seen across all the other sneaker drops by Nike in the month of January. 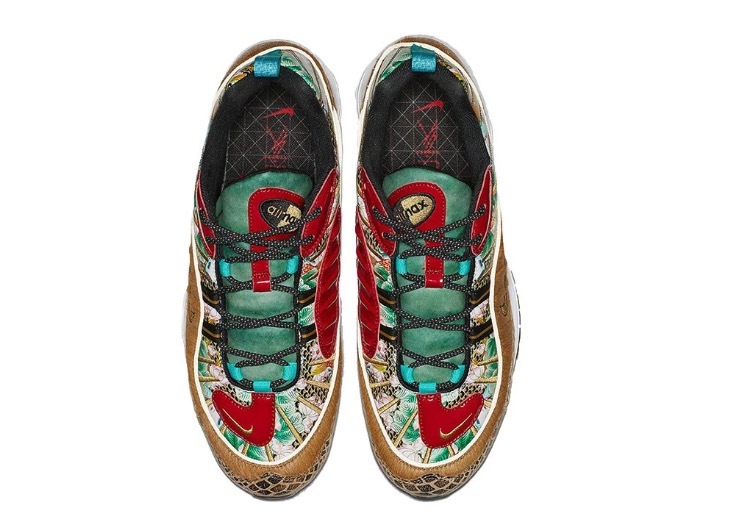 The design also details a mix of pony hair and snakeskin on the sides, with a hint of red and teal accents. A great pairing if you need a pop of colour to any outfit! 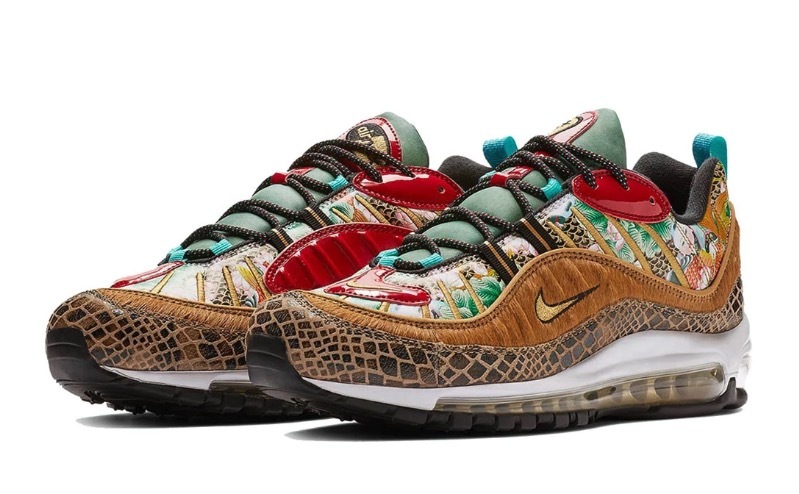 The Nike Air Max 98 “Year of The Pig” sneakers will be launched in early 2019.